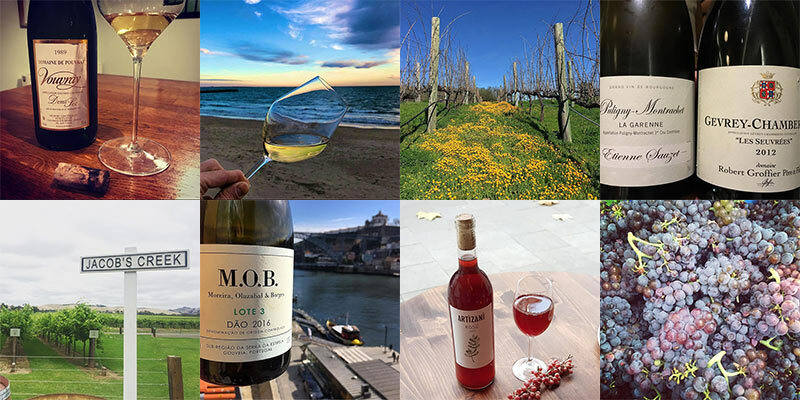 Before it became seen as yet another tool in social media marketing, Instagram was a great app to discover wines and wine regions from around the world. Despite all the noise, this is still the case, but you need to look closely to find it. Following are a number of the accounts that we follow as they do indeed give you that exploration and exotic view on wine from various places around the world that makes Instagram so much fun. In addition to these, you can look at our older (yet still very relevant!) list of wine Instagramers if you need some more suggestions. Enjoy! The reason we love these types of accounts is because it’s what ours focuses on above. Have a follow and see if you feel like enjoying the ride with us. Katie Jones set up shop making wine at the borders of Languedoc and Roussillon. There’s a lot to see here in terms of everyday wine production in the region but also tasty things to eat. Member of a family making very fine Sherry down in Jerez, Rocío shares her adventures and excitement for this lovely beverage. Carole Meredith and her husband Steve Lagier have vineyards up on top of Mt. Veeder in Napa Valley from which they’re constantly sharing photos and the ongoing vineyard work, especially with the touch of damage they saw from the 2017 fires. Neel Burton is the author of “Concise Guide to Wine and Blind Tasting” and has literally written the book on the subject. Not content to just taste wine, he also travels a great deal to experience it and that’s what he shares here. A Master of Wine student based in Switzerland but originally from Turkey, Seyma shares her adventures in pursuit of one of the two top qualifications in the wine world. Joe should need little introduction but perhaps you don’t know his Instagram. Witty and well traveled, he shares his trips in the wine world, especially while filming The Wine Show. This is a great spot in Tbilisi, Georgia with a tasty selection of Georgian wines as well as tasty bits to eat. Great to stop by if you’re there and if not, well, follow them. Normally institutional social media isn’t well done but this is not the case in Languedoc where they share lovely images from around the region and a lot of the newer wines that are starting to shine. Peter is one of the top experts on Champagne. He also loves Sherry, and pretty much everything in between. Fun spot we discovered in Porto, Portugal last year. Great view with staff that actually knows Portuguese wines properly and can offer up a great selection. A wine journalist who is usually writing on this site as well as others. This is largely everything behind the scenes as he travels in search of research for his next article. Love it! If you have a moment, check out the Wine School’s Insta page: instagram.com/phillywine/ I think you’ll find it a hoot. These interlinked investigations into ‘green’ flavour have provided valuable outcomes for Australian grapegrowers and winemakers. The most notable in some ways has been the observation that 2-isobutyl-3-methoxypyrazine can be found in important levels in Shiraz wines, a variety which was not considered previously able to produce this class of compound. It seems likely that it arises in wines from extraction from the rachis, but further work is currently being carried out with collaborators at CSIRO to confirm this. The observation of a link between ‘hard’, ‘bitter’, ‘green’ tannins and specific tannin structures is also a significant step forward. Overall, these studies involving the examination of ‘green’ aroma compounds in combination with non-volatile mouthfeel and textural compounds have great promise in finally allowing growers and winemakers to manage these characters in red wines. check out @wine_terrier ! “global” approach with some nice tasting notes.